Running on an empty stomach – yes or no? There are lots of different opinions on this topic. For some, it is a regular part of their training, while for others, working out on any empty stomach is out of the question. In today’s blog post, we are going to look at the three biggest myths and show you the truth behind them. The general opinion in the gym is that working out without breakfast leads to muscle loss. But don’t worry, your muscles won’t disappear right away. It is often wrongly assumed that without food intake, the body lacks the necessary carbohydrates and glucose (sugar) for a training session in the morning. According to this view, the body is forced to break down muscle protein to get the energy it requires. So in other words, the body loses muscle. But this is not exactly 100% accurate: The body stores glucose in the form of glycogen (stored form of sugar) in the liver and muscles. Over the course of the night, the body’s levels of insulin (which helps cells absorb sugar and inhibits fat loss) and liver glycogen decrease. But the body still has the muscle glycogen stores. So when you start your morning run, your body initially gets its energy from the glycogen stored in your muscles. But as your workout continues, the stores of glycogen – or simply, carbohydrates – in your muscles are virtually depleted. Therefore, your body is forced to find a different supply of energy and it increasingly resorts to free fatty acids for fuel. If you now crank up the intensity of your workout, your body, in order to make up for the lack of glycogen and the insufficient supply of energy from fats, will also obtain the energy it needs by breaking down proteins (i.e. amino acids). Only then do you run the risk of losing muscle. However, most runners will have already stopped their workout by this point. For a massive lack of glycogen is normally accompanied by symptoms such as dizziness, weakness and fatigue. Working out on an empty stomach is often touted as the best way to burn fat and lose weight. While it is true that running on an empty stomach, if done in the right way, can eventually force your body to increasingly obtain the energy it needs from free fatty acids, this is not the decisive factor in losing weight. The percentage of energy produced by burning fat is quite high, but the total energy expenditure (TEE) and thus calorie consumption are relatively low due to the low training intensity. In the case of a high-intensity running session, like interval training, the percentage of energy produced by burning fat is significantly lower. However, the TEE and the calorie consumption are many times higher. At the end of the day, what matters most in weight loss is the energy balance: If you burn more calories than you consume, you lose weight. Therefore, high-intensity running sessions are preferable to running on an empty stomach when it comes to losing weight. Workouts on an empty stomach are not a good idea for leisure athletes who want to improve their performance. Training duration and intensity are severely restricted by the lack of glycogen. Therefore, the intended training stimulus is rather low. A high-quality workout lasting longer and at a higher intensity is better for increasing your performance. Scientific studies on professional athletes have shown that very positive effects can be achieved by specific workouts with previously emptied glycogen stores. This causes your body to optimize and economize its fat metabolism. The body learns to make do longer with the glycogen stored in the muscles. However, there is no substantial evidence showing that this leads to improved race performance. At the same time, it is important to note that regular training with previously emptied glycogen stores can adversely affect your health. Even if there are more effective methods of losing weight or improving endurance, running on an empty stomach can add some welcome variety to your training. This kind of training is particularly suited for morning people who want to get their workout in before breakfast. 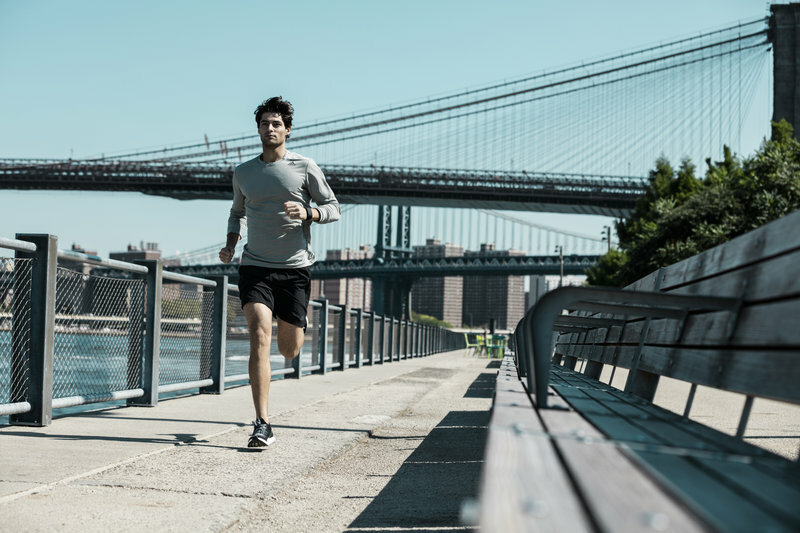 Depending on your fitness level, your run should last between 40 and 60 minutes. Choose a low intensity (at a recovery run or conversation pace). You should drink a glass of water before your run. For your breakfast afterwards, make sure to take advantage of the anabolic window (also known as the “open window”) in the first 30 minutes after your workout. During this time, your body can absorb nutrients faster than usual. This means that it can optimally replenish its empty stores.